We have these comfy, cozy hoodies in three colors. Frisco zipper hoodies are also available! That is the elevation in the town of Frisco. And up in the mountains, obviously, the elevation is even higher. If you’re accustomed to living at a lower altitude—which most people are—you’ll want to be sure to plan your schedule so that your body has a chance to acclimate. Otherwise, your body might just decide you’re not going to be doing any activities at all, but rather lying in bed—or worse, the hospital. There is no way to predict exactly how much the change in altitude will affect you, if at all. Some people have more difficulty adjusting to high altitude than others, and in fact even the same person can have a completely different experience from one visit to the next. All sorts of factors could contribute to your reaction to the altitude at any given time. Maybe you were fighting a cold before you left, or had been a little worn down, or got dehydrated. The main thing is to take steps to make the adjustment as easy as possible. This is perhaps the most important thing you can do to feel better while your body adjusts. Make sure to drink plenty of water. Your body will lose more water and sodium than usual as you are getting acclimated to a high altitude. Also the air is very dry here, which can also contribute to dehydration. Drink a lot of water before you leave on your trip, along the way, and after you arrive. How much extra water should you drink? There’s no magic number, but basically however much water you think you need, drink more! Can you drink some of Colorado’s wonderful craft beers as part of your hydration plan? Sorry, but you’ll want to drink LESS alcohol than normal while visiting the mountains. Alcohol will dehydrate you, and you’ll probably find that it affects you more quickly than normal as well. Try drinking a glass of water (or better yet, two) for every alcoholic drink. You probably want to maximize your time by jumping right into a day of full-on skiing, but if you’re able to take it a little easier the first day or two, it will give your body a chance to adjust to functioning with less oxygen. Some people who fly in from low-lying states even spend a day or two in Denver (5,280’) to help ease the transition. There are plenty of fun things to do in Denver, too. Just keep in mind that whatever you’re normally capable of, fitness-wise, might not be the case at 9,000 feet. If you’re a runner, you might not be able to run for as long. Even if you exercise regularly, you might feel winded by a flight of stairs. If you never exercise, you might feel winded simply by standing still. So, be realistic about your expectations and take it easy if you need to! I understand that this is a very challenging request, but I’m going to say it anyway: Try to ensure that you’re caught up on sleep before leaving on a trip to a higher altitude. We often push ourselves and rush around to finish work-related tasks before taking off on a vacation. But if you’re coming to the mountains, try to make it a priority to get your rest in advance. The acclimatization process can leave you feeling tired and sluggish, so give yourself a head start by making sure you’re well-rested when you arrive. Once you’re here, it can be tempting to go-go-go and try to fit in as much as possible. There is SO much to do here in Summit County. But, Frisco is also a wonderful place to relax! Many of the people who come into my gift shop are just wandering around, exploring, shopping, eating, drinking, getting a massage, checking out the historic park. Sometimes on vacations it’s hard to balance doing things with relaxing. You only have so much time! I get it. But the altitude adjustment is a good excuse to fit some resting time in amidst the activities. Or, if you’re the type of traveler who mostly just likes to take time off and relax, you can enjoy sweeping mountain views, along with sunshine and/or fresh snow, right on Frisco’s Main Street. Looking for a great place to visit this summer? 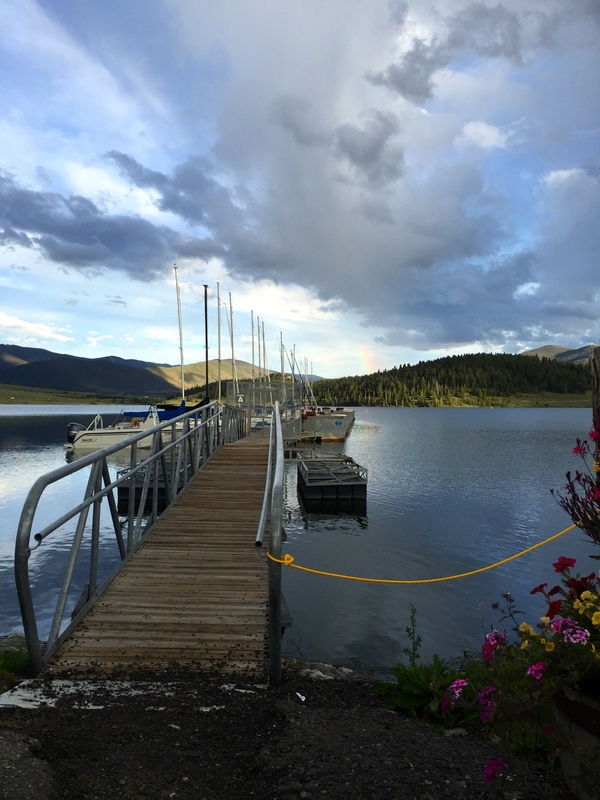 Check out Frisco, Colorado! Lately it feels like summer has arrived in Summit County, Colorado. 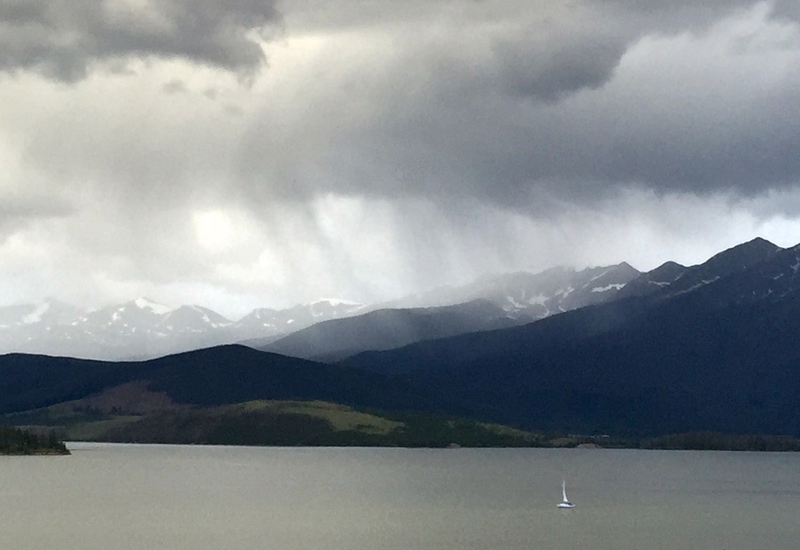 Although we've been known to get snow in May and sometimes even the first part of June, this year it has been dry and warm for most of the past month. The sunshine is getting us all in the mood for summer and all the fun the season brings. If you've never been to Frisco, you might want to check it out this summer. Just an hour and a half outside of Denver (an hour from the west suburbs), Frisco is a truly incredible and unique destination. Whether you enjoy biking, hiking, fishing, disc golf, camping, rafting, kayaking, or just hanging out enjoying the fresh air and breathtaking mountain views, Frisco has it all. Frisco's Main Street is adorable (that's not just my opinion--everybody says so) with shops, restaurants and a cool historic park. The town is big enough to have something for everyone, but not so big that it's overwhelming. And we have free parking! Speaking of food: While Frisco isn't the biggest town, we have a wide variety of restaurants. Several breakfast and lunch spots have outdoor patio seating where you can watch people walk by on the sidewalk while enjoying tasty food and drinks. For dinner, you can choose from Cajun, Sushi, Himalayan, German, American, Pho, Mexican, Chinese and Italian. All in all, Frisco is just a great place to spend a day, or a few days, during the summer. And if you're strolling around town, be sure to stop in and say hello. We're located at the corner of Main Street and Third Avenue. Hope to see you this summer! Are you looking to take a vacation that will be fun for both you and your canine companion? If so, Summit County, Colorado could be a great choice for you. Colorado in general is incredibly dog-friendly, and just about anywhere you go in Frisco, Dillon or Breckenridge, you'll see people out with their pups. This list is by no means exhaustive. Tons of restaurants have patios that welcome well-behaved dogs, and there are several dog-friendly choices for lodging, shopping, and hanging out. If you would like your canine-friendly business added to this list, please contact us and we'll be happy to add you! Carter Dog Park (Breckenridge) - Don’t want to go on a long hike? That’s okay! Your dog can still get some exercise at the Carter Dog Park. It’s nearly an acre and dogs are free to run around off-leash. The park is open 24/7, however, there is no lighting. If you decide to go after the sun goes down, take a flashlight or lantern. Breckenridge Gondola (Breckenridge) - Take a scenic gondola ride with your furry friend. It lasts eight minutes and is about 400 vertical feet above wildlife habitat and protected wetlands. You may spot wildlife--it's not unusual to see a moose. The gondola runs seasonally in the summer and winter. Click the link above for information. Arapahoe Basin Ski & Snowboard Area - This is a fun place to hang out with your canine companion from October to early June. Dogs must be leashed, but they can still have a good time exploring new territory. On sunny days, many owners and their dogs enjoy barbecuing at an area called the “beach.” It’s where the parking lot and base of the ski area meet. A&A Pet Supply (Frisco) - If you forgot something your pet needs or you just want to get him a delicious treat or squeaky reward for being a great traveling companion, this store has a nice selection of food, treats, toys, collars, and more. 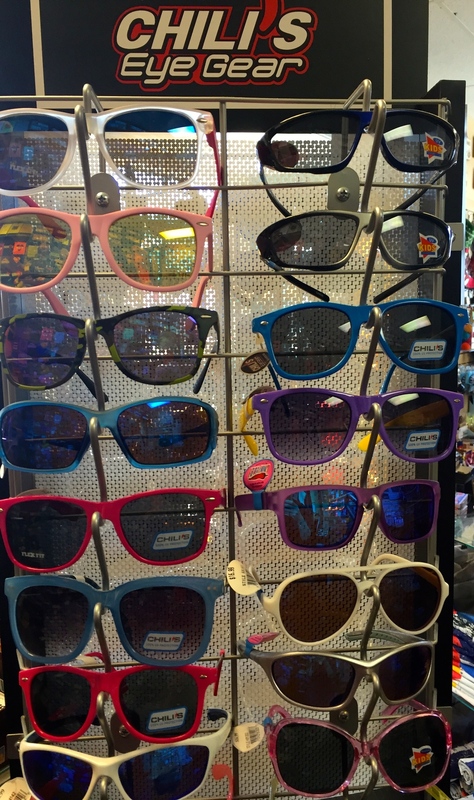 Rivers Clothing Company (Frisco) - If you want to shop for hiking gear, casual wear, and accessories such as jewelry and shoes, stop in at the Rivers Clothing Company. And the best part is, if your dog is sociable and leashed, he doesn’t have to stay at the hotel. For Pet's Sake Thrift Store (Breckenridge) - Bring Fido along and find great bargains for yourself. For Pet's Sake has excellent deals on clothing for the whole family, as well as jewelry, accessories, books and housewares. Best of all, the shop supports Animal Rescue of the Rockies to rescue homeless animals and place them in loving foster and adoptive homes. Carlos Miguel's Mexican Bar & Grill (Frisco) - Sit on the patio and munch on fajitas, enchiladas, burritos, or tacos while your canine companion lies under the table looking at you with hopeful eyes. Prost (Frisco) - Right in the heart of Frisco's Main Street, you can enjoy German beer, sausages and pretzels while watching the world stroll by. Empire Burger (Breckenridge) - This restaurant’s dog friendly patio is a great place to relax after exploring Summit County. Menu options include burgers (your four-legged friend will probably want a bite), hot dogs, fish tacos and salads. The Lodge at Breckenridge - There are plenty of dog-friendly places to stay in Summit County. The Lodge at Breckenridge is one that seems to be popular with both humans and canines. The Lodge sits on a forested cliff that gives visitors a great view and dogs a great place to explore. We also have dog books! Hopefully, this gets you started on planning an exciting trip to Summit County, Colorado with your best friend. Most people here are crazy about dogs, but just remember to be respectful of others. Please keep your dog on a leash in public areas and please, please, please clean up after your pet! If you're in Frisco, feel free to stop by and see us! We always welcome well-behaved, leashed dogs at Frisco Fun & Formal. No one wants to be sick on vacation. Your time off work is supposed to be time when you can relax and rejuvenate. Since you don't want to waste your valuable vacation time feeling miserable, it's important that you do everything you can to stay healthy while you travel. Of course, you can do the normal things. Get plenty of sleep in the week leading up to your trip, take some vitamin C, wash your hands often, and try to stay away from people who are contagious. All of these little things will help you prevent illness before your vacation begins. However, when you are traveling to the beautiful mountain communities of Summit County, Colorado, you also need to keep in mind how the elevation might impact you. Some people start to feel sick because of the increased elevation, but there are things you can do to minimize your risk. First, stay hydrated! Your body releases more fluids at higher elevations so you'll need to drink more water to compensate and avoid headaches. Speaking of fluids, you might want to go a little easier than normal on alcoholic beverages. Alcohol hits you harder at higher elevations, so wait and see how you feel before you have a second drink. If you have even a slight cold, consider taking a decongestant before going to a higher elevation and before coming back down from a higher elevation. When you are congested, your ears will have a more difficult time popping to equalize the pressure as you change elevations. If you've ever experienced ears that are stuffed up, it is pretty annoying and uncomfortable. If you know you're prone to altitude sickness, check with a doctor before your trip to see if there is a medication that could alleviate altitude sickness. Hopefully it won't be necessary, but you will be so glad you have it if you need it! Ibuprofen can also help if you find yourself with a headache from the elevation. These precautionary measures, combined with generally taking it easy for the first few days, will make your time in the mountains much more enjoyable. It’s November here in Summit County, Colorado. The aspen leaves have already fallen off the trees, but the snow has not begun to accumulate. There are still a few people strolling up and down Frisco Main Street, but overall the town is pretty quiet. For locals, this is a time to take a breath, catch up on projects, or even take a much-needed vacation. But it can also be an excellent time for visitors to come and enjoy the quieter, more peaceful version of the area. With each passing year, Summit County gets busier with more visitors, more seasonal and full time residents, and more businesses. The off season seems to get shorter each year. The first half of November is one of the few times when you can come here and feel like you have Main Street or a bike path all to yourself. You can be the only boat out on the lake, or the only hiker for miles on a trail in the woods. Drink your water. This is important advice any time of year at this high elevation, but it can sometimes be harder to remember when the temperature starts to drop. No matter what you’re doing, stay hydrated! Know that not every business will be open. The good news is, you get the place practically to yourself. The bad news is, with so few tourists and a smaller workforce, it’s impossible for every business to stay open. Restaurants, especially, often cannot financially justify staying open every single day of the off season. Some places stay open year round (like us), but you might have to be flexible about where you grab a meal or go shopping. The Visitor Information centers in Frisco and Breckenridge can be a helpful resource to find out who is open for business. Embrace the slow pace. If you often spend time in Summit County during the busy tourist seasons, be aware that the vibe is a little different this time of year. Hang out at a coffee shop and chat with some locals. Go grocery shopping without waiting in a line behind five other people. Linger over a meal, walk instead of driving, or take the time to wander through that museum you always meant to check out. Frisco, Colorado in November is a lovely place to spend a day or two. Come enjoy the slower pace and quiet streets before the busy holiday season begins! If you enjoy shopping, there's nothing quite like checking out the gift shops in a new location or revisiting an old favorite. If you're headed to Summit County, Colorado this winter, the two primary Main Street shopping areas are Frisco and Breckenridge. There's also the Outlets at Silverthorne, as well as some shops at Copper Mountain and Keystone resorts. Our shop, Frisco Fun & Formal, is located right on Frisco Main Street, and we absolutely love being there. You'll find a slow pace and small town atmosphere, free parking, and a good variety of independently owned shops without being overwhelming. At our gift shop on Frisco Main Street, we sell this locally-made card that has a photo of Frisco Main Street. 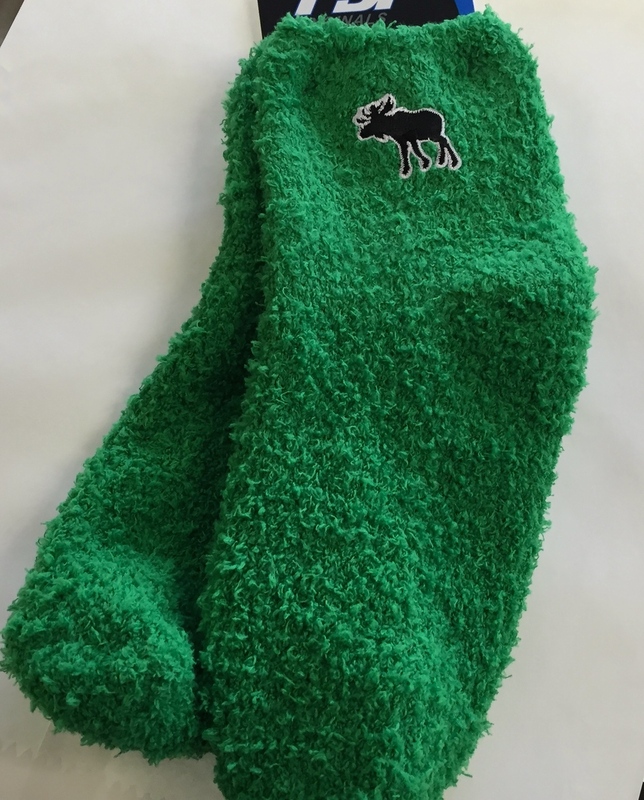 Not all gift shops are created equal: some carry a wide range of items (like us!) while others are more specialized. In Frisco, you'll find books, toys, jewelry, souvenirs, antiques, candy, accessories and clothing for the whole family. Decide what interests you most, and get hopping! You might also want to start with a list of people you are shopping for, think about the kinds of shops you need to visit, and keep track of what you've purchased as you go. If you see something along the way that you're interested in but not quite sure, you can also jot down the item, price and name of the shop so that you can come back later. Obviously gift shops in popular vacation spots highlight activities and features of the local area. In Frisco you'll find all types of skiing and mountain-centric items. Some of our favorite items here at our shop are coasters, ornaments and picture frames made from local beetle-kill wood. Visiting our local gift shops is a fun way to support small independent businesses and keep things thriving so there will continue to be plenty of great places to browse. As you're on your gift shopping adventure, make sure you don't fall victim to hunger or dehydration. Low blood sugar does not make for an enjoyable shopping trip. Give yourself plenty of time so you can eat and drink along the way as needed--that way you won't feel rushed when browsing. Frisco Main Street has plenty of great options for food and drinks, whether you need a quick pick-me-up or want to sit down for a nice meal. We hope to see you this winter on Frisco Main Street. Happy shop hopping! Whether you crave a trip filled with outdoor adventure or a peaceful, relaxing week in a breathtaking mountain setting, consider a vacation to Summit County, Colorado. Located in the beautiful Colorado Rockies, Summit County offers countless year-round activities--even some very unusual ones! Here's a glimpse into why thousands of people make this area their vacation destination. Simply going for a walk on the rec path in Frisco is scenic and fun! No matter what your budget, you can find the ideal place to stay. From a small budget hotel to the five world-class ski resorts giving you the ultimate in luxury accommodations, you will be cozy and warm while enjoying the stunning views of the Rockies. Let it snow! Skiing, snowshoeing, snowmobiling, sleigh rides, ice skating, and hockey can keep you moving. The problem will be trying to fit all of these exciting experiences into your vacation. For some unique frozen fun, try snowkiting, ice climbing or dogsledding. That will be a story to tell your grandchildren about one day! The mild summers in Summit County provide the ideal background for days spent outside in nature. Hike the mountains, fish the streams, go camping, raft the rapids, or bike the scenic roads. Don't forget to step away from the mainstream and try something new. Go balloon riding, go on a cattle drive, or try paragliding. You will be the life of the party when you give your play-by-play description of your exploits! There are no massive, impersonalized shopping malls where all products seem the same in each store. Instead, you will find quaint shopping areas full of unique products and friendly employees. Shop for local souvenirs, hand-made jewelry and art, or ski gear. Visit the local outlet mall for great discounted buys. What is more pleasing to the soul than good food? In the local towns and resorts, look for the handmade candy shops or for locally-produced treats. Enjoy a mouth-watering dinner at a 5-star restaurant or sample some local cuisine. If you are searching for an unconventional dining experience, try taking in a chuckwagon dinner and wild west show or treat yourself to fondue. To describe a dream vacation to Summit County in one word: FUN! Colorado has legalized marijuana for recreational use within its state borders, but what exactly does that mean? If you're planning a visit, take the time to learn the rules and regulations, because you are responsible for knowing them. Pleading ignorance won't get you off the hook if you break the law. Age - Just as you must be 21 years old to purchase alcohol, you must be 21 years old to purchase, possess, and use recreational marijuana in Colorado. Furthermore, it is illegal to give or sell recreational marijuana to minors. Stores - For those who are 21 years and older, recreational marijuana can only be purchased at licensed retail stores. A simple online search will yield many stores around Colorado that sell recreational marijuana. However, the state allows marijuana stores to operate from 8 am to midnight and cities can opt to implement more restrictive hours than the state. For example, Denver stores are required to close by 7 pm, whereas Aurora allows their stores to operate until 10 pm. Possession - Adults (Colorado residents and non-residents) 21 and older are allowed to possess up to 1 ounce (28 grams) of recreational marijuana at a time. However, a key difference regarding the purchasing amounts makes it legal for residents to purchase 1 ounce in a single transaction and only 1/4 ounce (7 grams) for non-residents. The law was created this way to help combat the exportation of marijuana by non-residents to states where recreational marijuana is still illegal. Consumption - If you meet the criteria of being able to purchase and possess recreational marijuana, the law regarding consumption applies to all residents and non-residents of Colorado. To put it simply, you cannot consume marijuana in any space that is deemed public, regardless of form (i.e., flower, edibles, concentrates). This includes but is not limited to transportation facilities, schools, entertainment venues, parks, sidewalks, roads, restaurants and bars. Recreational marijuana is intended for private, personal use only. If you have to ask if a location is public or private, it's probably safe to err on the side of caution and assume that it is not an appropriate place for consumption. Consequences - Penalties for violating marijuana laws within the state's borders can range from a fine to a possible jail or prison sentence. Additionally, it is illegal to drive under the influence of marijuana and it can result in a DUI, just like alcohol. If a police officer suspects you're intoxicated, a blood test can be administered and anyone with 5 nanogram or more of delta 9-tetrahydrocannabiinol (known as THC) per milliliter in whole blood (CRS 42-4-1301) while driving can be arrested for DUI. Laws aside, make sure you check with the owner of the property where you will be staying. Just because it's legal to smoke marijuana in a private home, if you're renting a condo and smoking isn't allowed, you may have a tough time finding a non-public venue where you can legally smoke. Understand your situation and plan accordingly, and please show respect for property owners who are renting out their homes so visitors can come enjoy a vacation in the beautiful Rocky Mountains! Whether you're living in Colorado or just visiting, it is important to be informed about the Colorado marijuana laws regarding recreational marijuana use. If you find yourself in a situation where you're not sure what's legal versus illegal, always err on the side of caution with respect to the law! So you're planning a trip to the Colorado mountains--welcome to our favorite place in the whole entire world! There is so much to see and do here in Summit County, you might feel like you want to jam as much into your time here as possible. But take it easy at first and give yourself a chance to adjust if you aren't accustomed to the higher altitude. 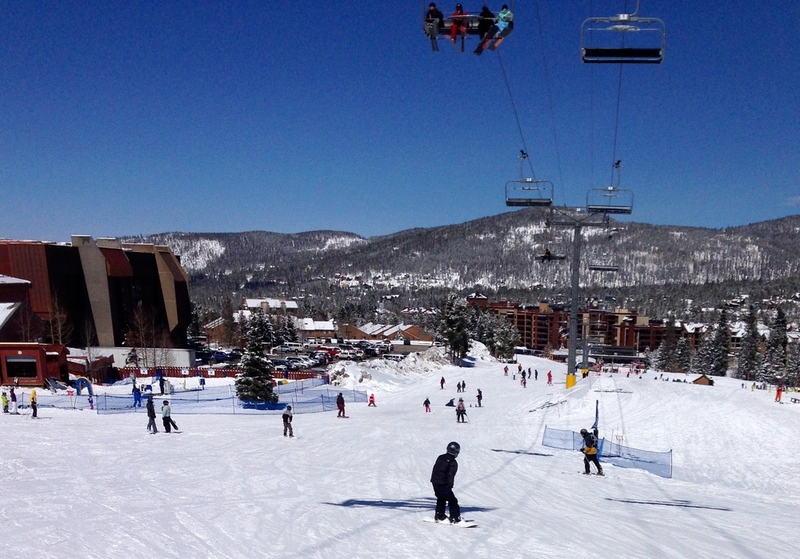 The 9,000+feet altitude is no joke here in Frisco, Breckenridge, Copper Mountain and the surrounding area. Even visitors from the Mile High City of Denver often feel the effects. Adjusting for the difference in altitude should be taken be very seriously. People who fail to do this sometimes add an unexpected trip to the hospital to their itinerary. But most people can prevent unpleasant effects by taking a few precautions. Here are a few tips that we believe will foster a smooth adjustment and make your trip an enjoyable one, allowing you to focus on the beauty and adventure of Colorado. The first and foremost rule when adjusting to a higher altitude is to stay fully hydrated. You'll want to drink WAY more water than normal, and make sure to drink water before you feel thirsty. Increasing fluids such as water and Gatorade, while avoiding or limiting caffeine and alcohol, especially for the first few days of your trip, can help your body adjust to the altitude change. One of the most important factors in successfully managing a change in altitude is a proper amount of rest. Travel can be exhausting anyway, and your body will work harder to adjust to the higher altitude, and will therefore require more rest. So prepare for each day by getting a good night's sleep, and allow a day or two extra at the beginning of your trip for some extra shut-eye. Before leaving home, consider speaking with your doctor about increasing your iron intake. While too much iron is toxic, the right amount can really help when it comes to increasing your stamina for sight-seeing and activities you're planning. This is not the time to worry about your carb count. Consider the altitude adjustment an excuse to eat more carbs. Not only will the increased carbs help you make better use of the oxygen, but it will also give you that energy boost you might need for the first few days. Finally, it is important for you and your traveling companions to know what to look for when it comes to altitude sickness so that you can watch out for one another. This is especially important if you are planning to do any snow sports, hiking, climbing, or other outdoor activities. Some of the signs of altitude sickness are dizziness, lightheadedness, headaches, nausea/vomiting and fatigue. In short, what all of this advice really boils down to is moderation in everything (except water--go crazy with your water intake). Make moderation your motto for the first few days of the trip, and allow your body to show you its needs and limits in regards to rest and hydration, as well as exercise and activity. A few days of slowly easing into the vacation will benefit you in the long run, and help make this your best vacation yet! We're not surprised--we always knew Frisco was super cool. But now our opinion has been validated by The Matador Network in their list of the 20 coolest towns in the US. Besides being literally "cool" due to the elevation, Frisco's coolness is multi-faceted. The town made the list for its proximity to endless recreational activities, a walkable main street, live music, locally-owned businesses and great restaurants. Frisco makes a great hub for visiting the various ski resorts in Summit County. It's centrally located, and the free Summit Stage bus route goes to Copper Mountain, Breckenridge, Keystone, Silverthorne and Dillon. 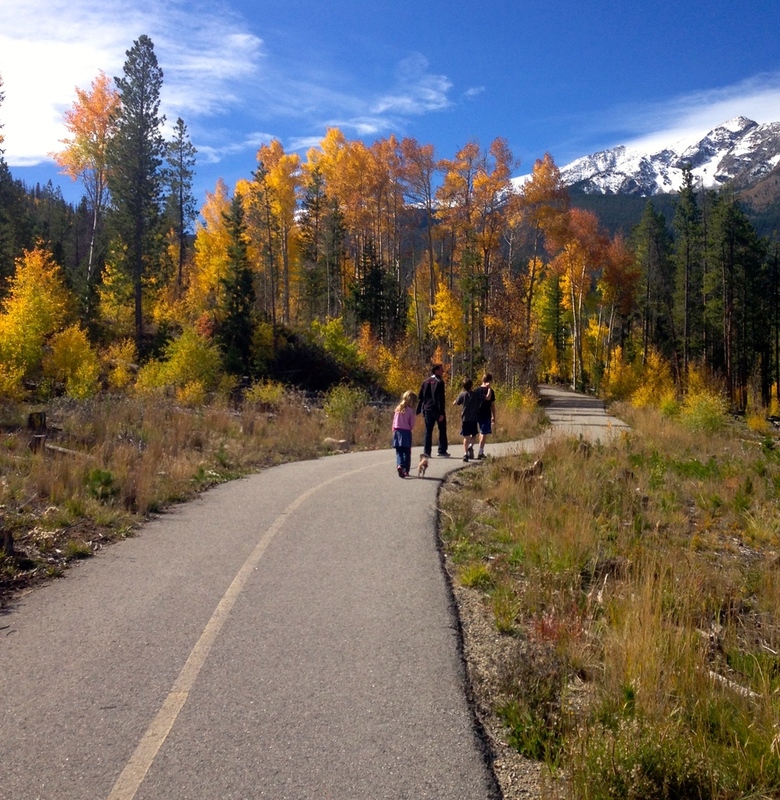 In the summer and fall, there's the rec path, hiking trails, rivers and Lake Dillon. The town is also home to several festivals, art fairs and special events throughout the year. Frisco is a coveted spot for visitors, part timers and locals who enjoy having the lake, the shops on Main Street and their favorite restaurants and bars all within walking distance. It's just a great place to be any time of year. If you're looking for outdoor adventure combined with a laid-back atmosphere, Frisco is one of the coolest places around.